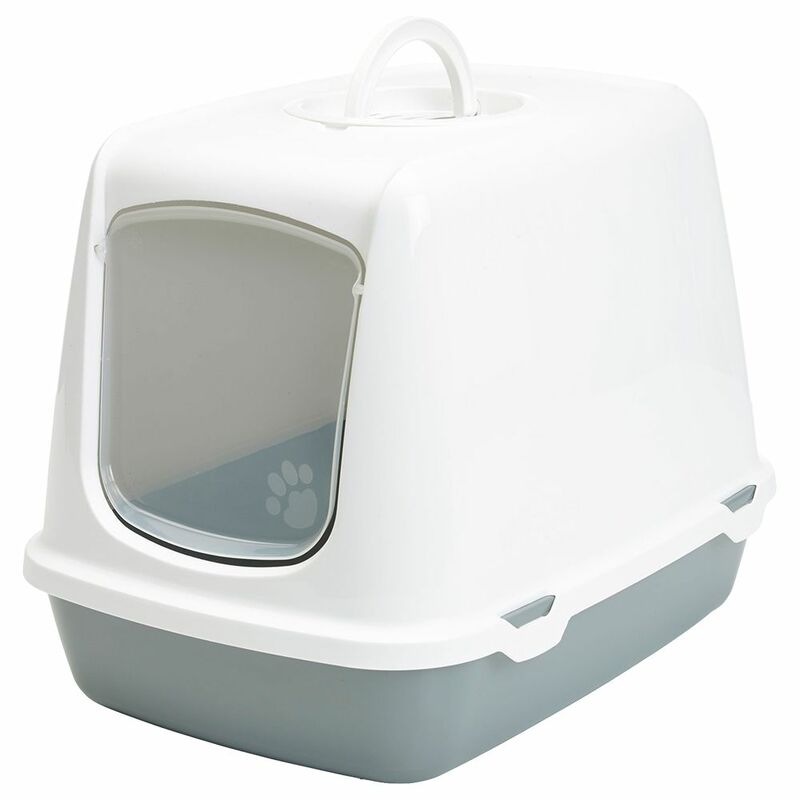 The Oscar Litter Box from Savic is a traditional covered cat toilet. The smart litter box is very well made and has an integrated active carbon filter which helps to get rid of any nasty odours. The hood is attached to the base tray with sturdy clips which are easy to release for easy cleaning of the tray. There is a practical handle so you can easily move the litter box around. The hood includes a translucent plastic swing door which lets through plenty light but also allows your cat to do its busineΒ in private. The door can be removed if preferred. Remember to change the active carbon filter regularly so that it gets rid of nasty smells quickly and effectively. The Savic Oscar Cat Litter Box at a glance: Colour: Tray: cool grey or orange Hood: white Swing door: translucent with paw print pattern 1 active carbon filter included Integrated handle in hood Swing door Made in Belgium Dimensions: Total: 50 x 37 x 39 cm (L x W x H) Door: approx 20 x 22 cm (W x H) Tray: height 11cm Entrance height: 14cm Sizing for Savic Bag it Up Litter Tray Bags - Large: Suitable for trays up to: 50 x 36 cm (L x W) Contents: 12 bags More information about Savic Bag it Up Litter Tray Bags can be found here: Savic Bag it Up Litter Tray Bags.